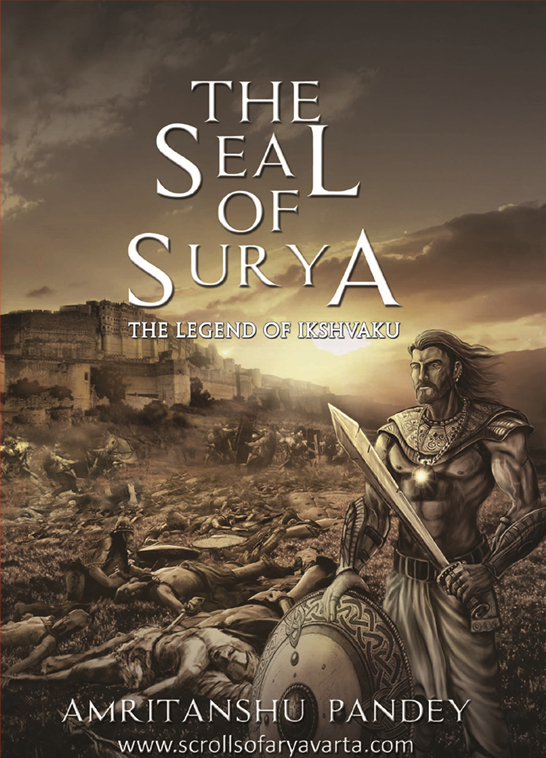 The Seal of Surya: The Legend of Ikshvaku is the story of our first king and the founder of Suryavansha. A perfect amalgamation of betrayal, dynasties, destruction and loyalty, this is the first book from The Scrolls of Aryavarta series. This fiction book tells about the author’s view on Vedic and pre-Vedic period. The story is about the starting of Suryavansha and the first king of Aryavarta, Ikshvaku Manav. The story is not only about Ikshavaku, the son of Surya, but also tells us the author’s view on how Suryavansha might have begun and the Ikshavaku Manav made into Aryavarta’s first king. The story begins when the Deva’s and Asura’s are no more alive and their wars have brought destruction and misery. The seal of Aurvan Surya is lost and the solar tribes are without a ruler. The states of Aryavarta come together to form a union. The Rakshasas, Gandharvas and Yakshas have started threatening the developing cities of Aryavarta. To bring peace in the city, the son of Vaivasvat Manu, Ikshvaku saves the solar tribes and become the king of Aryavarta. He started a lifelong war and search for the seal of Aurvan Surya. His search takes him to far west of Aryavarta, across rugged terrain and wayward rivers. Before Ikshvaku passes his rule onto his son, he had to locate his ancestor – Maharshi Kashyapa. He also wants to build a grand capital and deal with his greatest enemy once and for all. Amritanshu Pandey the author of The Seal of Surya has also written various articles. His lucid style is praised by the readers. He is able to engage various readers due to his writing style and story conveying style. 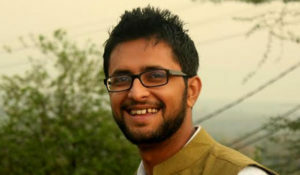 Apart from Vedic and Pre-Vedic history, he also has a keen interest for science fiction and is planning to write in that section as well.